Finance and insurance (F&I) specialists are vital to the daily function within a dealership. Your F&I specialist has the flexibility to work with customers, lenders, and other staff members to maintain the quality relationships that keep your dealership running smoothly. 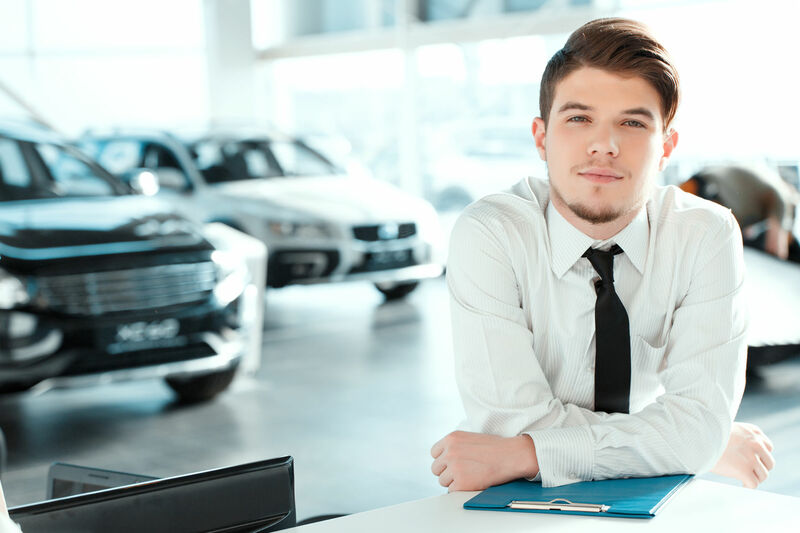 With a thorough knowledge of all products and compliance laws, F&I specialists also help maintain the high ethical standards expected of your dealership. When one of these important employees are absent from your team, every member of your staff faces difficulties carrying out each sale. Finding a knowledgeable replacement on short notice is no easy task. Employing a fill-in F&I specialist can help your dealership navigate unforeseen difficulties and keep a thriving business. If employees were machines, emergencies and illnesses wouldn't be an issue. (Repairs and replacements would likely get expensive, though.) Instead, your employees are people who use personal insight to help your dealership run productively. Unfortunately, all people occasionally have emergencies that can't be predicted. Emergencies and illnesses result in unexpected absences which leave you short-handed on busy work days. A fill-in F&I specialist would provide you with a qualified employee to call in on short notice, so your daily production doesn't even have to slow down. A properly trained fill-in can provide the product knowledge your loyal customers trust, and seamlessly integrate with the rest of the dealership staff. A sick day wouldn't become an emergency situation when you have a fill-in F&I specialist on your employee roster. Hiring new employees is a process that works best with a comfortable time frame for interviews and training periods. However, if an employee quits without warning, you need a qualified replacement immediately. High employee turnover rate can present a big problem for vehicle dealerships. Consistently hiring new employees can quickly lead to potential compliance issues if a qualified F&I specialist isn't available. A fill-in F&I specialist can provide temporary assistance if an employee suddenly leaves. A properly trained F&I specialist not only has the ability to act as a fill-in but can also help a new employee train on the job site. Since your fill-in F&I specialist already knows the state and local compliance laws, this knowledge can be passed to your new employees during actual transactions with real customers. Your F&I specialist must understand the details of all of the products sold in a dealership. Not only do your loyal customers expect this knowledge, but your salesmen also count on the necessary advice of F&I specialists while making a sale. Any employee who takes the place of an F&I specialist will not only have to retain knowledge of the products but also understand the compliance laws that are required for your dealership. Employees who aren't prepared for this task could cost your dealership thousands of dollars in fees. A fill-in F&I specialist is trained with the knowledge to take care of the regular duties of your F&I department. These employees already know how to communicate with lenders, customers, and dealership staff. This training means your dealership schedule is "business as usual" even when a valuable employee is absent. Proper knowledge can help your dealership avoid compliance disasters, misunderstandings among staff, and unsatisfied customers. Your F&I specialist performs many duties that shouldn't be left to someone without the proper experience. A fill-in F&I specialist can keep your dealership running productively during unexpected circumstances. Hiring a fill-in F&I specialist can help your dealership navigate all types of emergencies. To learn more about hiring a fill-in F&I specialist, contact us today. Visit the Vanguard Dealer Services blog for more great tips about running a successful dealership.